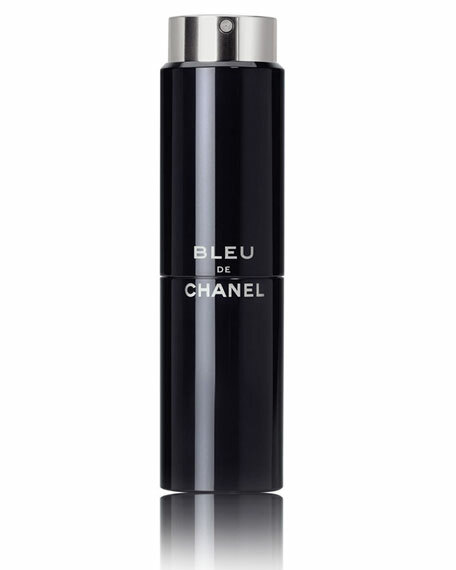 The constant companion for the BLEU DE CHANEL 'man on the go.' The slim travel-size spray rotates to dispense a mist of the woody, aromatic, unexpectedly sensual scent. Includes two 0.7 oz./ 20 mL refills.